Peer Review Rated “AV Preeminent” in Martindale-Hubbell. Tom Malone is the founder and president of Malone Law Group. 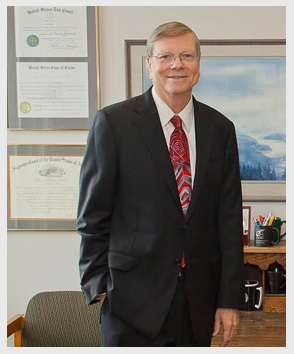 A private practice attorney in the Seattle area for over forty years, Tom has vast experience in business and real estate, taxation, estate planning, probate, and general litigation, as well as a variety of other practice areas, including public policy, health, and not-for-profit law. For years Tom has been enthusiastically involved with various community service efforts, including 15 years service on the Board of Trustees for Seattle Community Colleges, and 25 years with Swedish Medical Center. President, Trustees Association of Community and Technical Colleges of State of Washington, 2011-2012. “Talking Heads: Improved Voice Recognition Software Will Increase Law Firms’ Efficiency,” Washington Journal, May 8, 2000, co-authored with Betty Fox Paulsen.